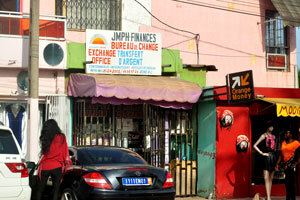 An authorized Mercedes-Benz car dealer is located on the street of Rue Pierre et Marie Curie. 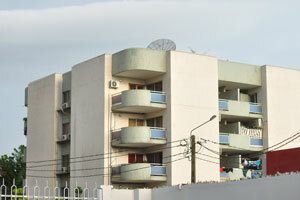 This apartment building is located on the street of Rue Pierre et Marie Curie opposite the Renault Showroom. 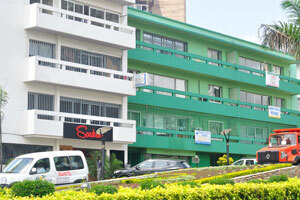 This apartment building is also located on the street of Rue Pierre et Marie Curie opposite the Renault Showroom, Zone 4C. 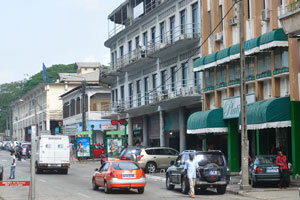 This apartment building is located on the intersection between streets of Rue Pierre et Marie Curie and Rue Alex Fleming. 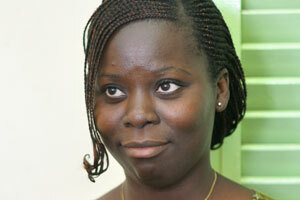 This is my first portrait of a young Ivorian woman. 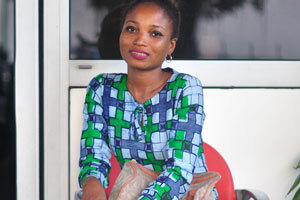 My first portrait of an Ivorian girl was made with the help of a man, who drove us to the city from the Ghana land border. 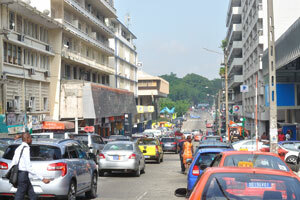 The street of Rue Pierre et Marie Curie as seen from the territory of Renault Showroom. 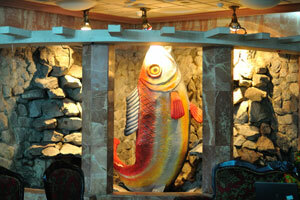 A statue of fish decorates the vestibule of Hotel Nouvelle Pergola. 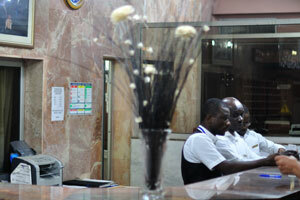 The front desk is in the vestibule of Hotel Nouvelle Pergola. 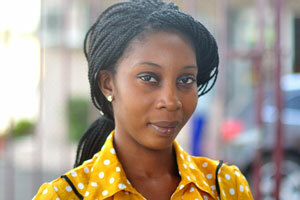 A beautiful woman works as a cashier in “Super U” supermarket. 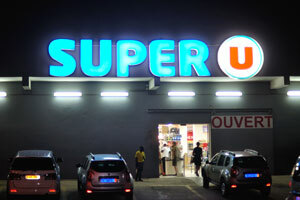 A charming cashier woman is in “Super U” supermarket. 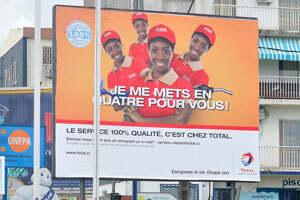 A good-looking cashier woman from “Super U” is smiling. 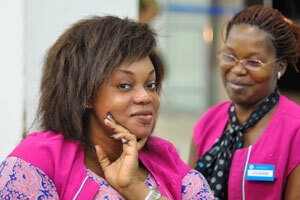 A lovely cashier woman from “Super U” is showing its beautiful smile. 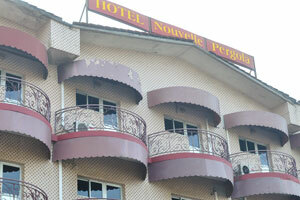 Doors to the bathroom and the balcony are in my room in the Hotel Nouvelle Pergola. 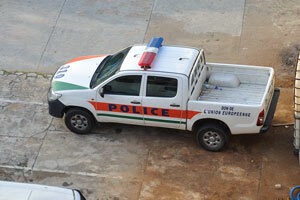 A police car is parked under my balcony in the Hotel Nouvelle Pergola. 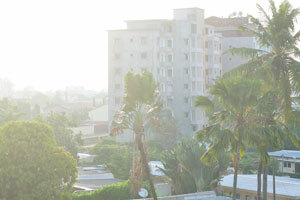 A morning view from my balcony was photographed in the Hotel Nouvelle Pergola. 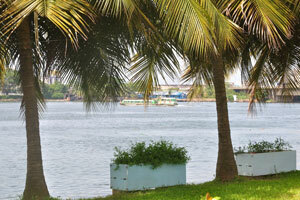 Ébrié Lagoon as seen from my balcony in the Hotel Nouvelle Pergola. 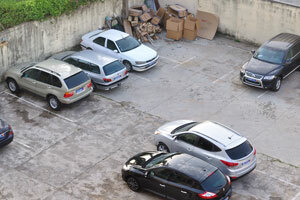 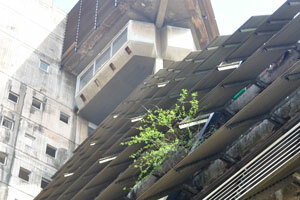 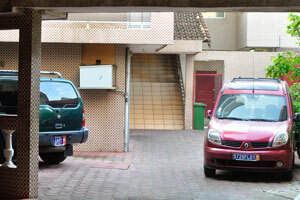 A small parking lot is under my balcony in the Hotel Nouvelle Pergola. 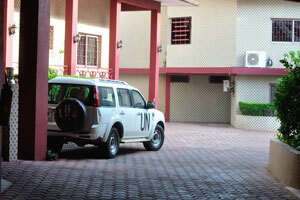 UN jeep is in the Hotel Nouvelle Pergola. 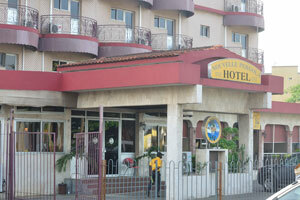 The room of hotel administration is in the Hotel Nouvelle Pergola. 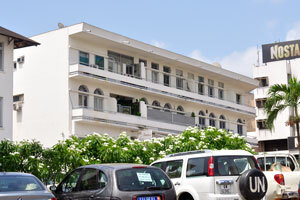 The inner court is in the Hotel Nouvelle Pergola. 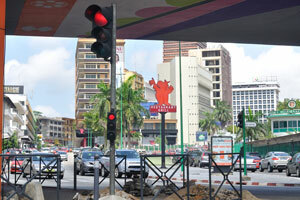 Boulevard de Marseille is in front of the Hotel Nouvelle Pergola. 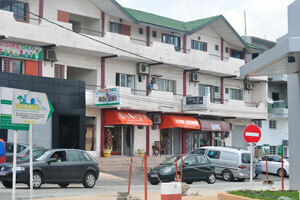 Boulevard Valéry Giscard d'Estaing is in front of the Hotel Nouvelle Pergola. 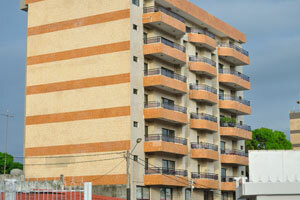 Balconies are in the Hotel Nouvelle Pergola. 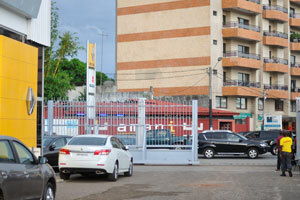 Fenced area is in front of the Hotel Nouvelle Pergola. 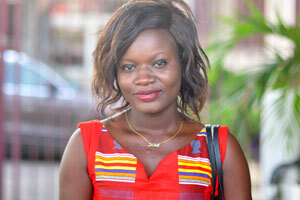 Close up facial portrait of a stunning young Ivorian woman with a lovely genuine smile. 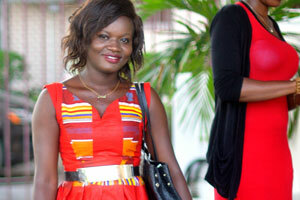 A ravishing young Ivorian woman is slim and pretty. 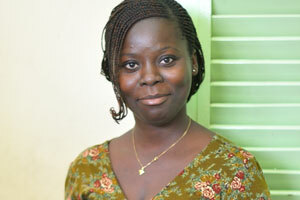 An extremely beautiful Ivorian woman. 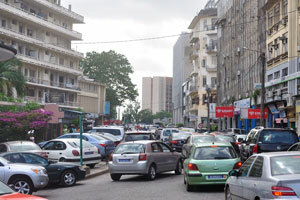 Heavy road traffic is on the Boulevard de Marseille. 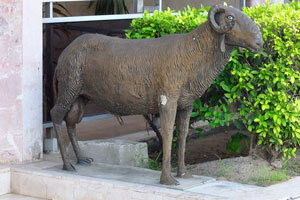 A statue of ram is at the entrance to Hotel Nouvelle Pergola. 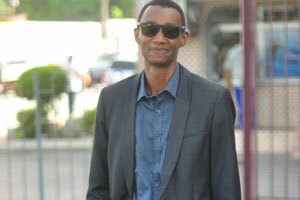 The leader of one of the training seminars conducted at the Hotel Nouvelle Pergola. 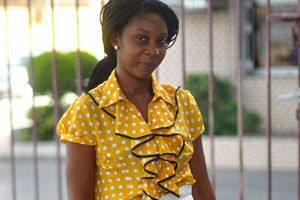 A beautiful female participant of one of the training seminars at the Hotel Nouvelle Pergola. 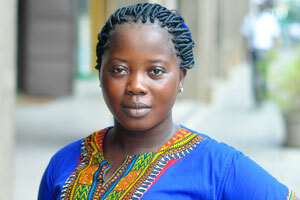 Close up facial portrait of a gorgeous female participant of the training seminar conducted at the Hotel Nouvelle Pergola. 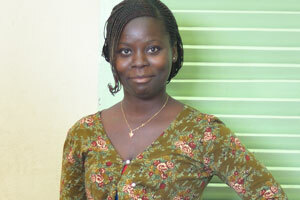 The smiling face of a beautiful Ivorian girl. 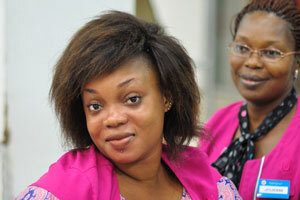 The lovely face of a charming Ivorian girl. 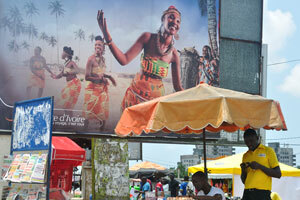 An Ivorian girl struck a lovely pose. 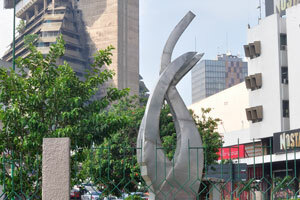 This sculpture is located in front of the Nostalgie building. 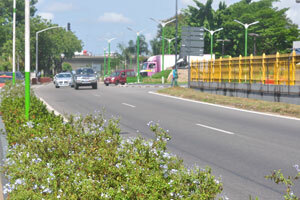 Flowers decorate the Avenue Franchet d'Esperey. 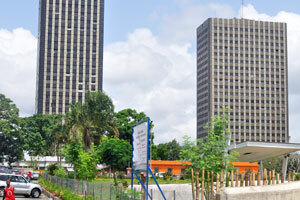 La Pyramide is located on the Avenue Franchet d'Esperey. 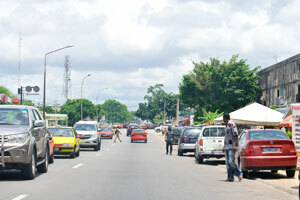 The unique building of triangle shape is on the Avenue Franchet d'Esperey. 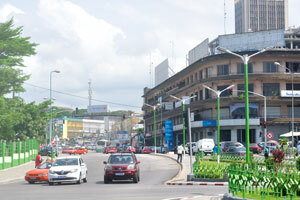 Avenue Franchet d'Esperey is in the business district Le Plateau. 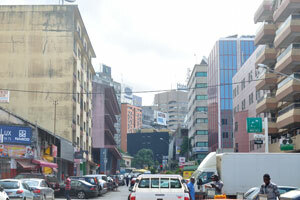 The unique building of triangle shape is in the business district Le Plateau. 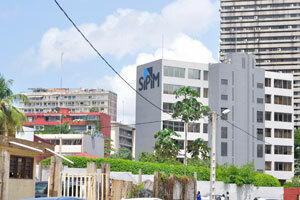 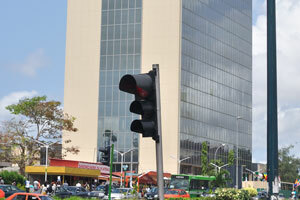 La Pyramide is one of the most famous buildings in Abidjan for its architecture. 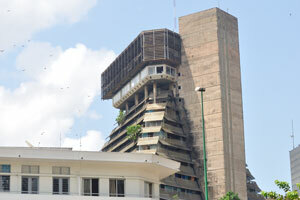 La Pyramide is one of the first high-rise buildings built in the Plateau area at the time of the Ivorian miracle. 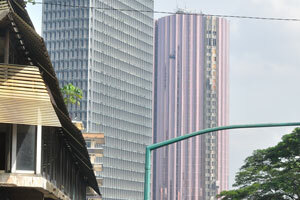 Two skyscrapers of “Immeuble CAISTAB” and “Tour Postel 2001” are located on Boulevard Botreau Roussel. 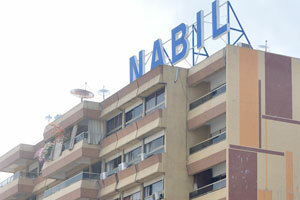 BICICI Immeuble Nabil stock exchange. 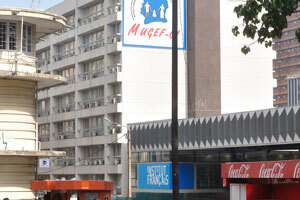 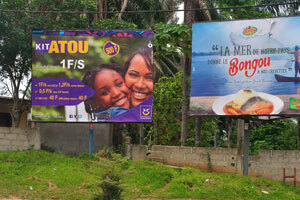 French Institute and MUGEF-CI Insurance Agency. 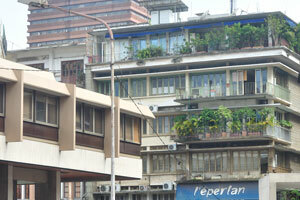 Multistorey buildings are on the avenue of Franchet d'Esperey. 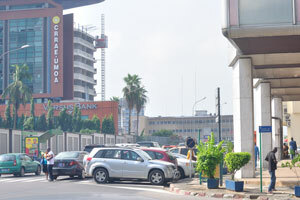 An intersection is between the streets of Rue Lagarosse and Avenue Delafosse. 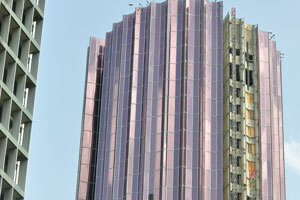 BCEAO Auxiliary Building is a 15-story high-rise building. 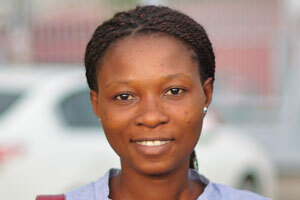 Close up facial portrait of an Ivorian young woman. 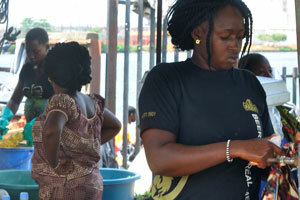 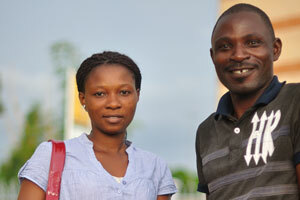 An Ivorian young woman is dressed in the national T-shirt. 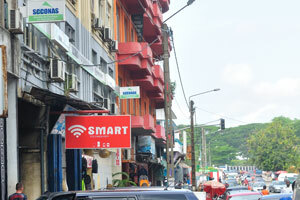 One of the intersections is in the Plateau borough. 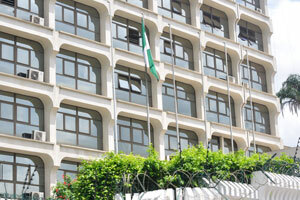 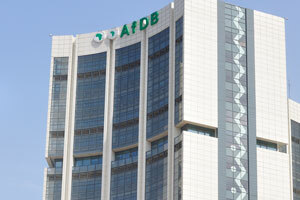 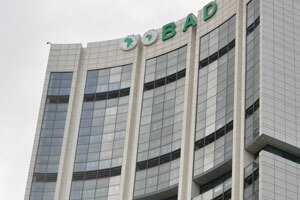 Headquarters of the African Development Bank (AfDB). 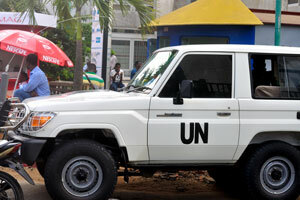 This UN jeep with the peacekeeper inside was photographed on the Avenue Joseph-Anoma. 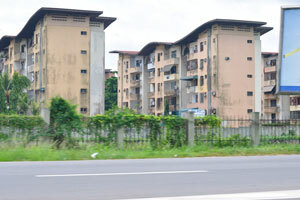 BCEAO Auxiliary Building as seen from the Avenue Joseph-Anoma. 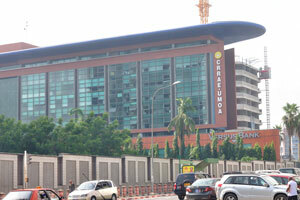 CRRAE-UMOA building as seen from the Avenue Joseph-Anoma. 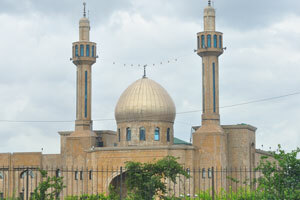 The Grand Mosque of Plateau. 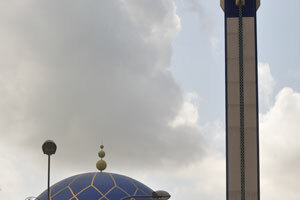 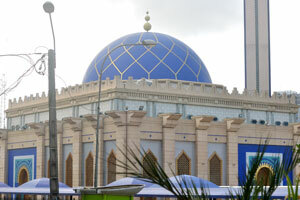 The Plateau Mosque was created by the architect Aldo Spirito and inaugurated by Pope John Paul II in 1985. 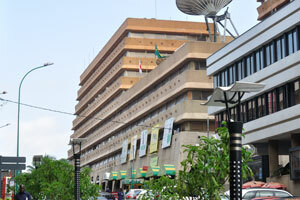 AfDB building as seen from the Grand Mosque of Plateau. 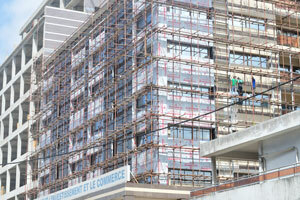 The building of the BSIC bank is in progress. 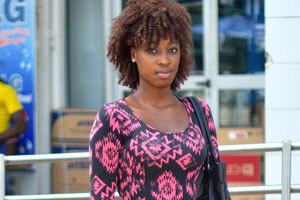 A beautiful Ivorian woman is on the street. 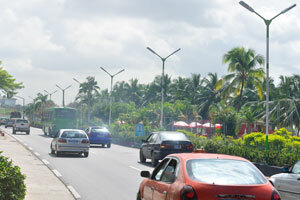 Boulevard du General de Gaulle. 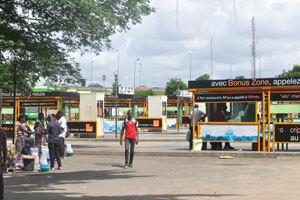 Station Service Corlay is on the boulevard du Général de Gaulle. 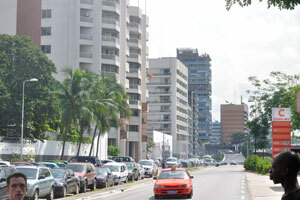 One-story house is on the boulevard du Général de Gaulle. 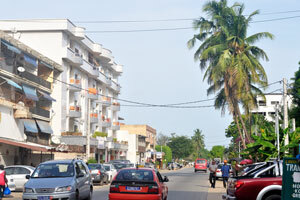 Boulevard du Général de Gaulle is full of palm trees. 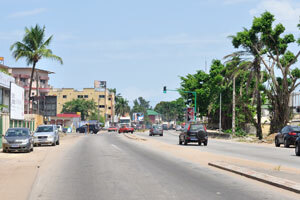 Boulevard du Général de Gaulle is at noon. 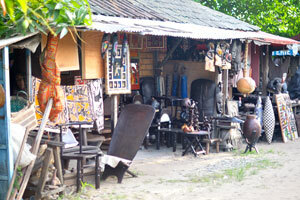 An open air shop with paintings is on the Boulevard du Général de Gaulle. 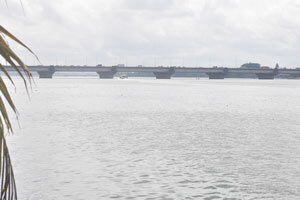 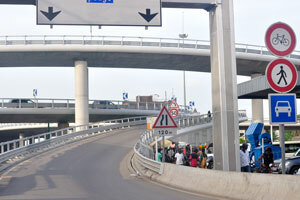 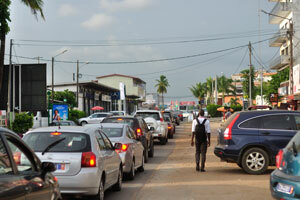 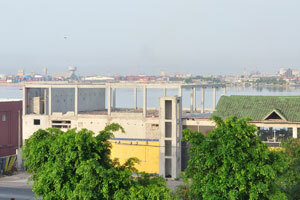 Second Abidjan Bridge is a road bridge over the Ébrié Lagoon which links the two halves of the city. 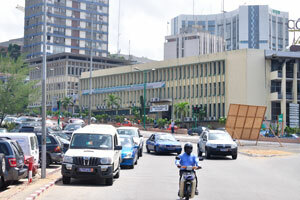 Palace of Culture in Abidjan. 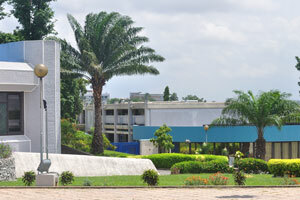 The borough of Treichville as seen from the borough of Plateau. 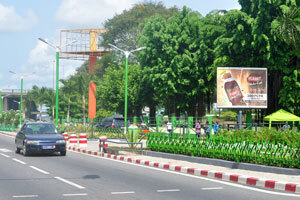 The greenery is along the boulevard du Général de Gaulle. 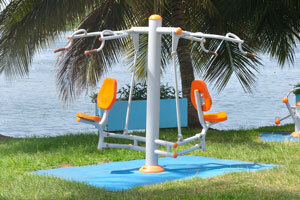 A children playground is on the boulevard du Général de Gaulle. 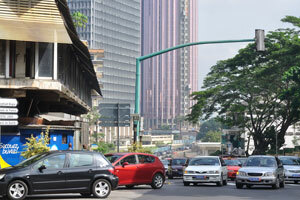 An intersection is between the boulevard du Général de Gaulle and Avenue Laplène. 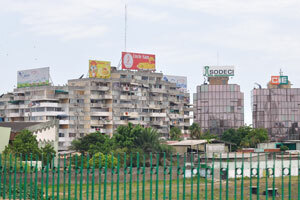 Gare Sud (Sotra) as seen from the boulevard du Général de Gaulle. 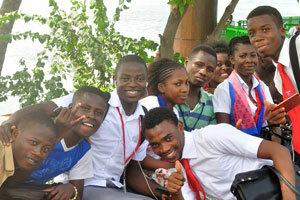 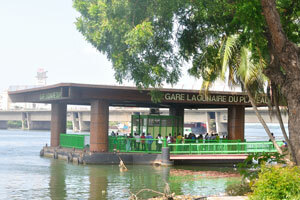 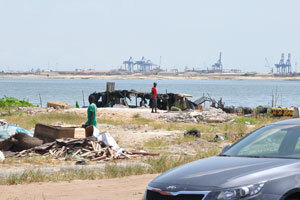 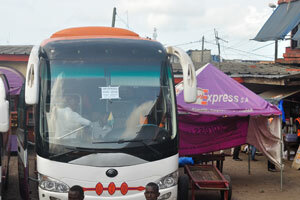 Ivorian young people are waiting its vessel at the Gare lagunaire du Plateau. 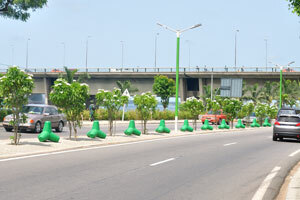 Houphouët-Boigny Bridge is a road and rail bridge over the Ébrié Lagoon which links the two halves of the city. 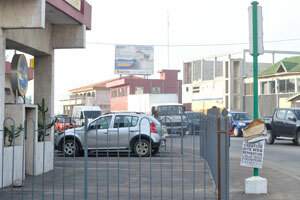 Gare Sud (Sotra) is a bus station located on the south of the borough of Plateau. 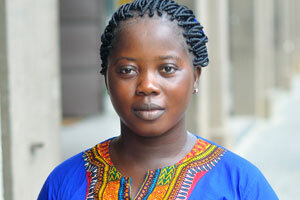 A portrait of an Ivorian young woman. 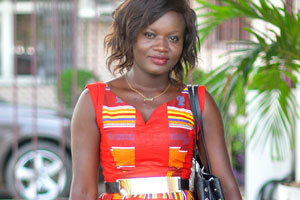 This beautiful Ivorian young woman wears the colourful dress. 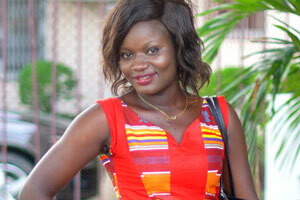 This attractive young girl is Ivorian girl. 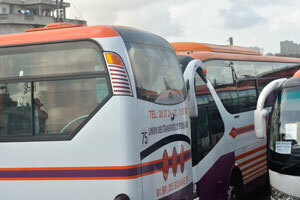 Platforms are on the bus station of Gare Sud (Sotra). 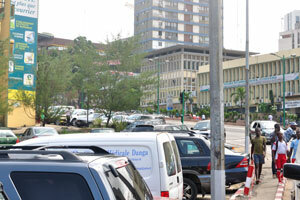 The buildings of EECI and Ecobank as seen from Gare Sud (Sotra). 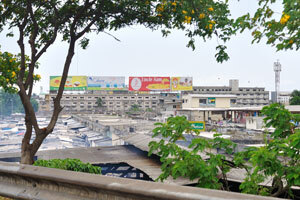 The fruit market is on Boulevard de la Paix. 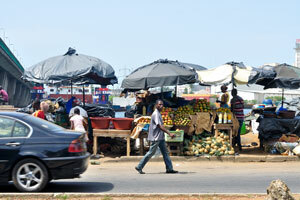 The local fruit market is adjacent to the Houphouët-Boigny bridge. 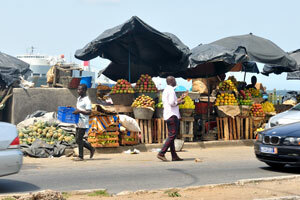 An abundance of mango is on the fruit market on Boulevard de la Paix. 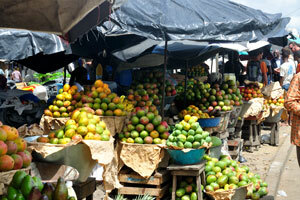 The fruit market on Boulevard de la Paix impressed me a lot because I've never seen in my life such a great quantity of mango varieties. 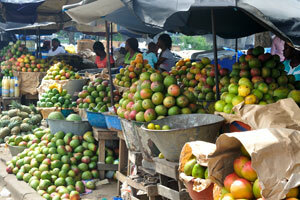 Mango is the main product of the fruit market on Boulevard de la Paix. 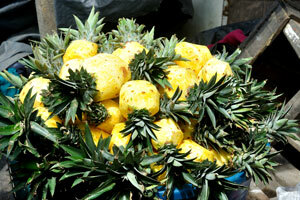 Peeled pineapples for sale are on the fruit market on Boulevard de la Paix. 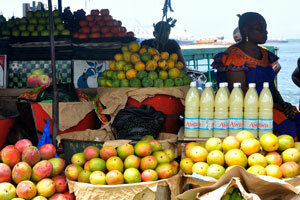 Fresh mango and pineapple juices are on the fruit market on Boulevard de la Paix. 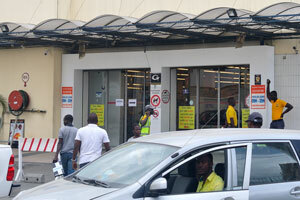 Fresh juices are stored in small fridges on the fruit market on Boulevard de la Paix. 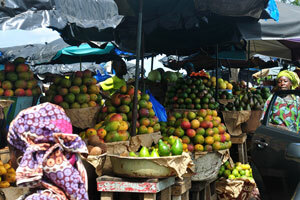 The fruit market on Boulevard de la Paix is full of marvellous mango especially in the time of mango season in April. 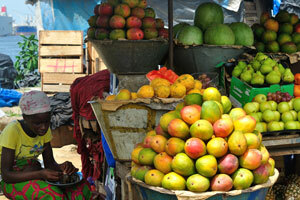 Mango of huge sizes are available on the fruit market on Boulevard de la Paix in April. 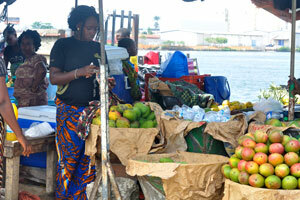 A beautiful female vendor is on the fruit market on Boulevard de la Paix. 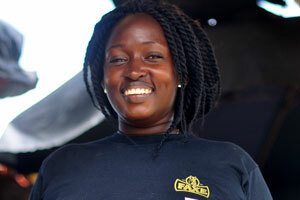 A charming female vendor from the fruit market on Boulevard de la Paix smiles at me. 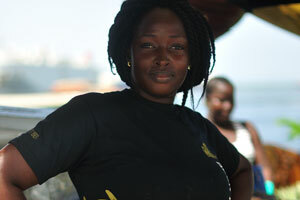 This stunning female vendor sold me a bottle of mango juice on the fruit market on Boulevard de la Paix. 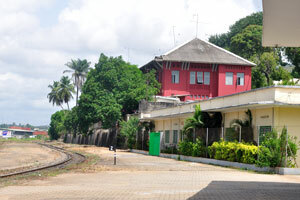 The train station of Sitarail. 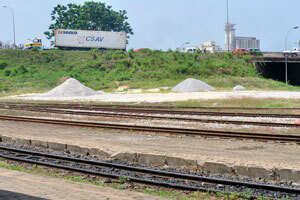 La Société internationale de transport africain par rail “SITARAIL” is a company based in Abidjan. 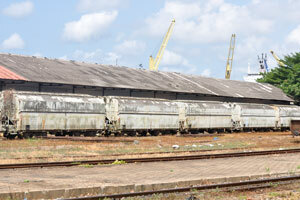 Sitarail is a branch of “Bolloré Transport & Logistics” operating in Côte d’Ivoire and Burkina Faso. 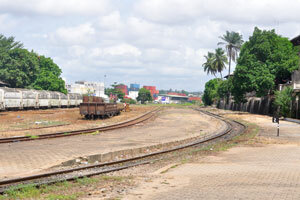 Railway tracks are on the train station of Sitarail. 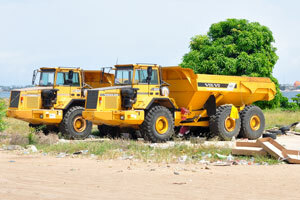 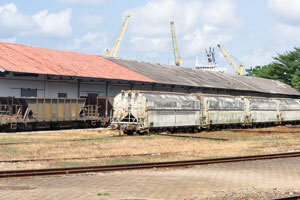 The Sitarail company has a concession on the rail network in Côte d’Ivoire and Burkina Faso. 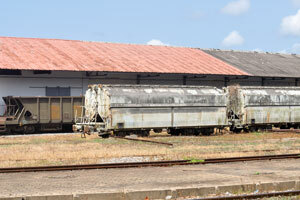 Freight wagons are on the train station of Sitarail. 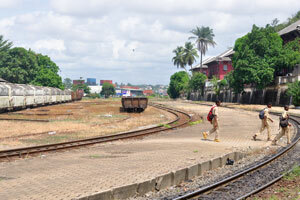 The train station of Sitarail gives the impression of being abandoned. 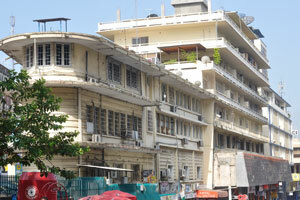 The white facade of main building of Sitarail train station. 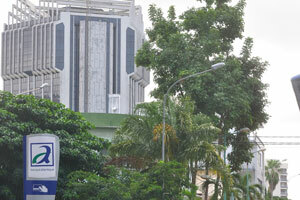 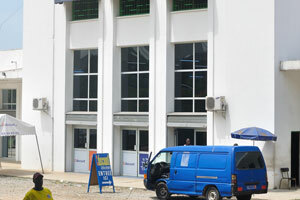 Ecobank is a pan-African banking conglomerate, with banking operations in 36 African countries. 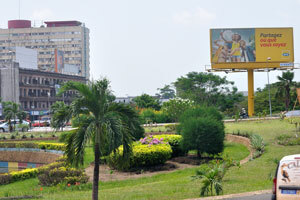 Côte d’Ivoire Tourism is located on Republic Square. 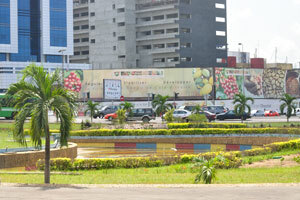 Landscape design decorates Republic Square. 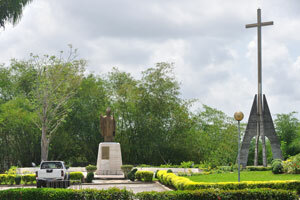 The statue of Queen Poku is in Republic Square. 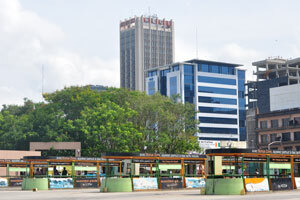 The northern part of Republic Square. 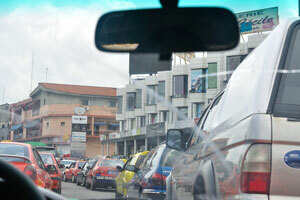 Travelling in a taxi under the road bridge of Boulevard de Gaulle in Plateau. 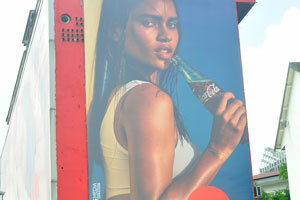 Coca-Cola advertisement is in the city. 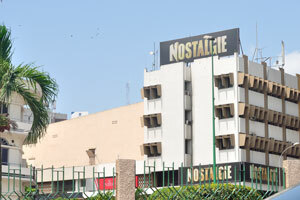 Radio Nostalgie is located close to the Hippopotamus restaurant. 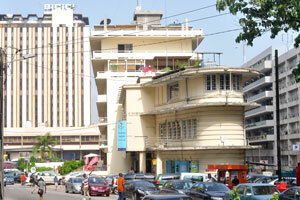 White multi-storey building is on the intersection between Boulevard Botreau Roussel and Avenue Chardy. 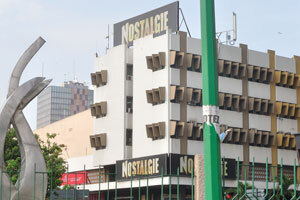 Nostalgie FM 101.1 is a broadcast radio station that providing pop music. 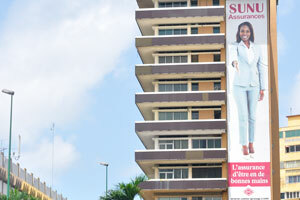 A building advertisement of SUNU Assurances. 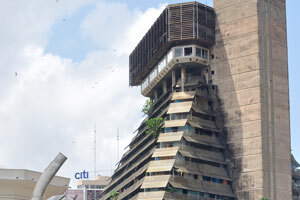 La Pyramide was designed by Italian architect Rinaldo Olivieri who aimed to capture the activity of an African market in an urban setting. 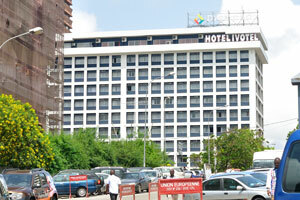 The building of European Union is located near the Ivotel hotel. 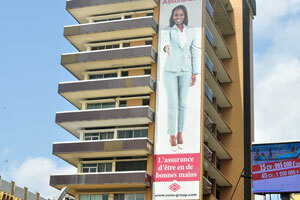 CNCE agence postel 2001 “Tour Postel 2001” at Avenue Marchand. 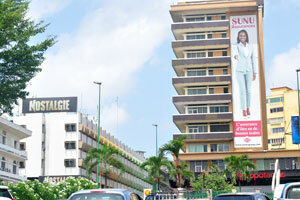 The building of SIPIM “La Société Ivoirienne de Promotion Immobilière”. 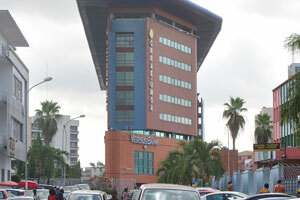 This modern building is surrounded by barbed wire. 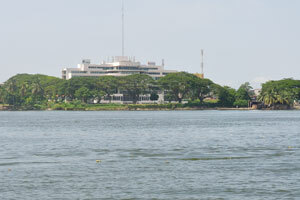 The building of Ministère des Eaux et Fôrets (Federal Government Office) is on the left (La Cité Administrative Tour D). 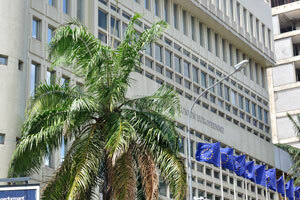 High Court is located on Avenue Jean-Paul II. 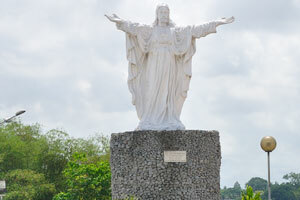 The statue of Jesus with open arms is in the area of Saint Paul's Cathedral. 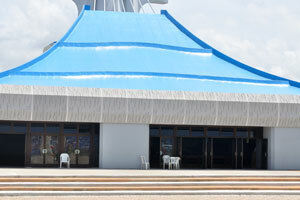 The facade of Saint Paul's Cathedral. 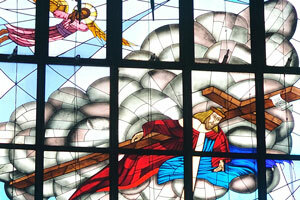 The Cross of Saint Paul's Cathedral. 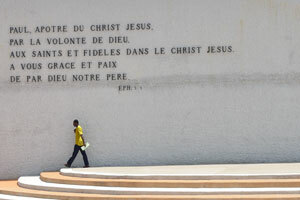 Words from Ephesians 1 are written on Saint Paul's Cathedral. 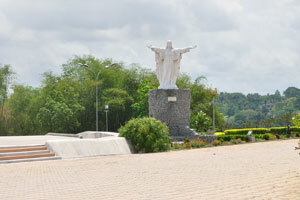 The statue of Jesus is located close to the entrance of Saint Paul's Cathedral. 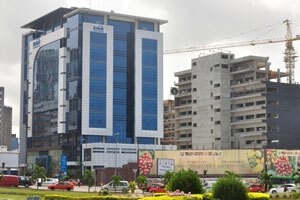 Office towers of the administrative city are situated near Saint Paul's Cathedral. 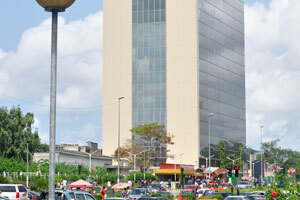 Immeuble CCIA is a skyscraper located on the Jean-Paul II avenue. 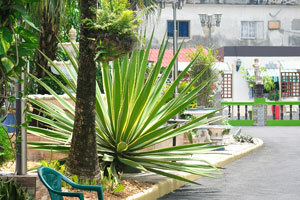 An area around Saint Paul's Cathedral is decorated with the tropical plants. 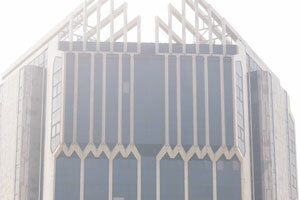 One more cross is installed on the territory of Saint Paul's Cathedral. 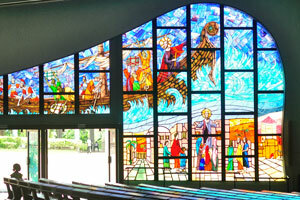 Stained glass windows of Saint Paul's Cathedral. 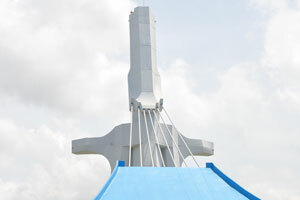 Saint Paul's Cathedral is one of the only things that pops up when one runs a Google search of things to see in Abidjan. 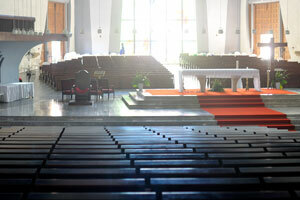 Saint Paul's Cathedral is a Roman Catholic cathedral. 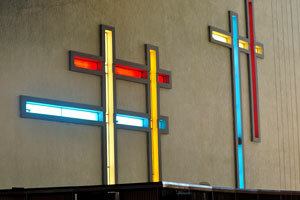 Crosses made from stained glass decorate the inner walls of Saint Paul's Cathedral. 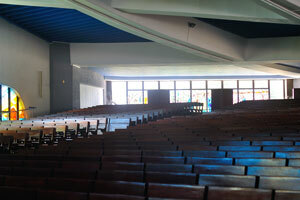 Saint Paul's Cathedral was designed by architect Aldo Spirito. 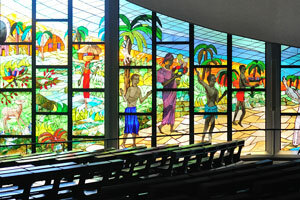 Saint Paul's Cathedral has six stained glass windows covering a total surface area of 370 metres. 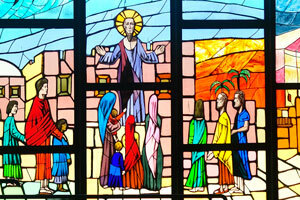 The first stone of the Saint Paul's Cathedral was consecrated on May 11, 1980 by Pope John Paul II. 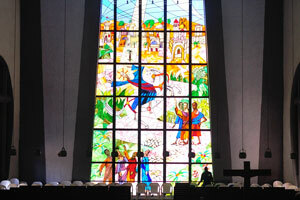 One of the six stained glass windows is inside Saint Paul's Cathedral. 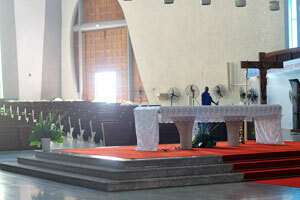 Saint Paul's Cathedral can accommodate 5000 devotees, with seating for 3500. 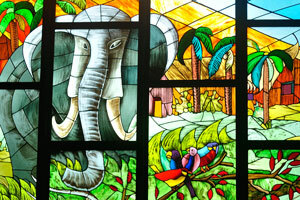 One of the stained glass windows inside Saint Paul's Cathedral depicts an elephant and other animals. 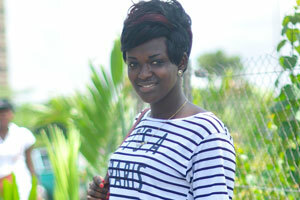 A stunning Ivorian young woman. 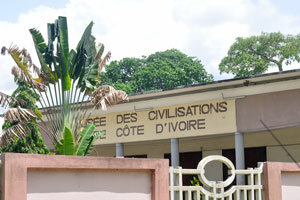 The Musée des Civilisations de Côte d’Ivoire is a museum located in Plateau. 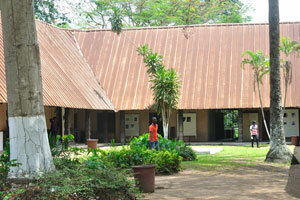 The Musée des Civilisations de Côte d’Ivoire is around the size of a large house. 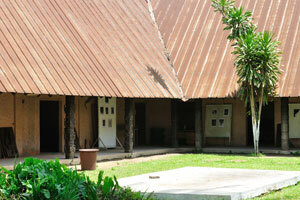 The inner garden of National Museum. 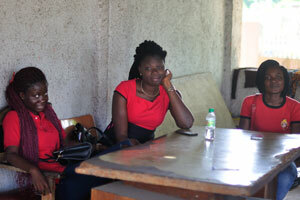 Three beautiful female employees are inside the National Museum. 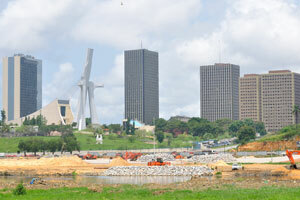 Saint Paul's Cathedral and the administrative city of Abidjan is on the background. 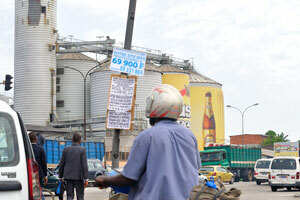 Such board advertisements are found on the roads of Cocody. 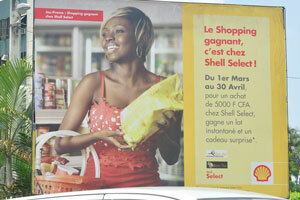 An advertisement of the Shell oil company “Le Shopping gagnant, c’est chez Shell Select!”. 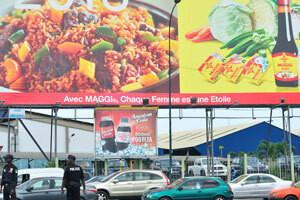 An advertisement of the Nestle company. 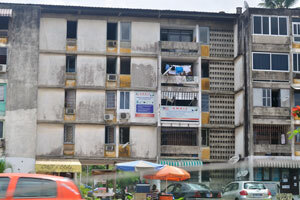 An ordinary five-storey apartment complex is in Cocody. 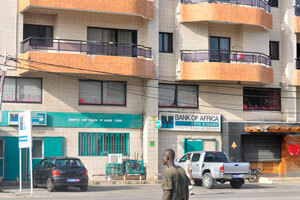 An apartment complex in Cocody is equipped with the unusual clothes dryers outside the windows. 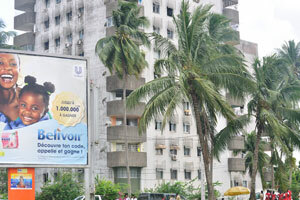 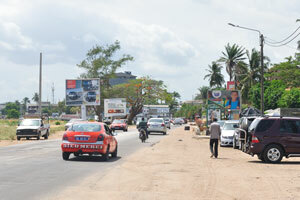 An advertisement of the Unilever company is in Cocody. 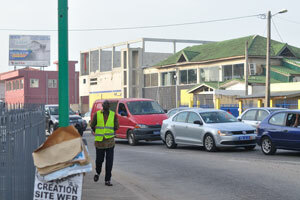 An ordinary paved road is in Cocody. 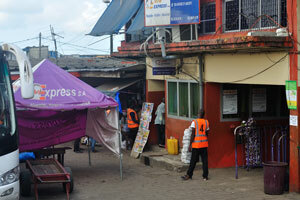 Street vendor is selling eggs on the street in Cocody. 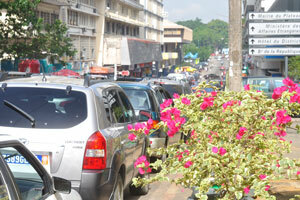 Street flowers for sale are in Cocody. 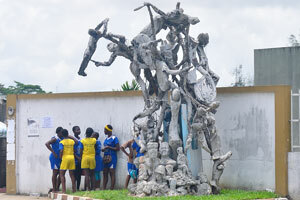 A contemporary sculpture depicts an unusual interweaving of people. 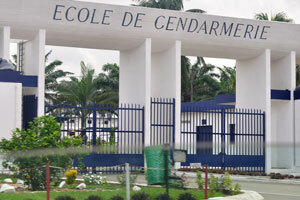 l’École de Gendarmerie d’Abidjan (EGA) "School of Gendarmerie" is located in Cocody. 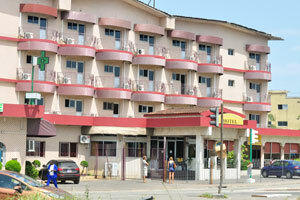 An ordinary three-storey apartment complex is in Cocody. 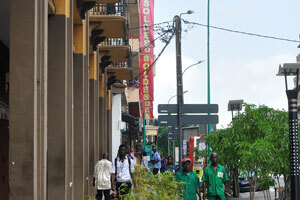 Magic Studio is located on Rue des Jardins in Cocody. 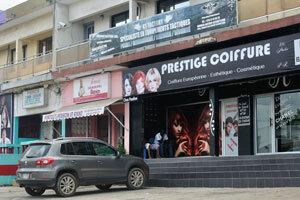 Prestige Coiffure hair salon is located on the street of L 160 in Cocody. 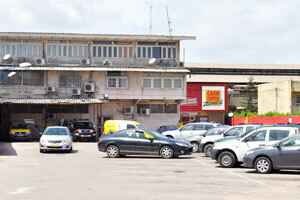 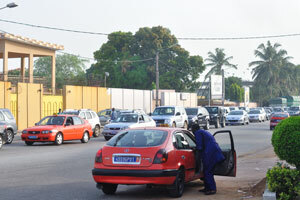 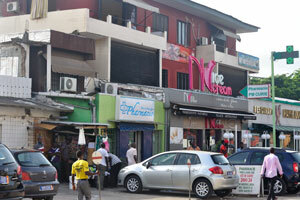 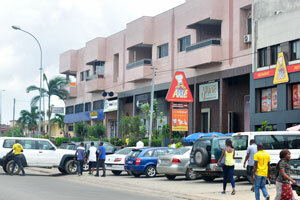 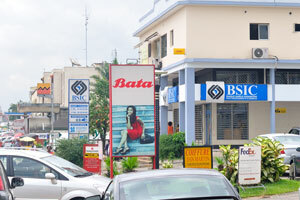 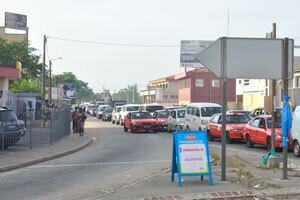 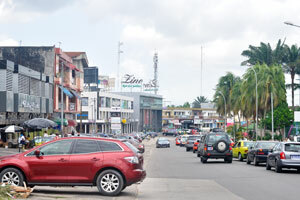 “Galérie Sainte Cécile” is a shopping mall located on the street of Rue des Jardins in Cocody. 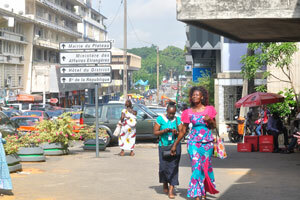 The street of Rue des Jardins is in Cocody. 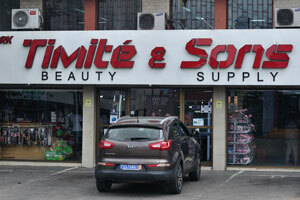 A beautiful female cashier works in the Super Hayat supermarket. 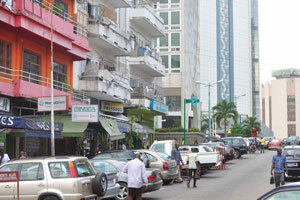 The street of Rue des Jardins. 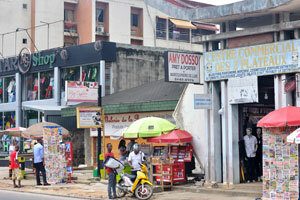 Timité & Sons store is in Deux Plateaux. 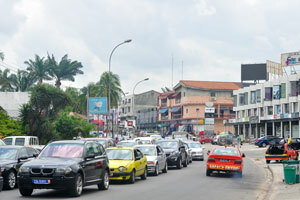 The street of Rue des Jardins is in Deux Plateaux, it is a popular residential area in Cocody, but tends to become a commercial area. 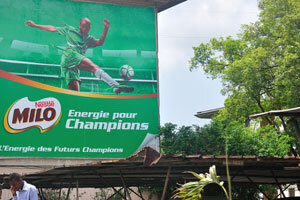 An advertisement of the Total company is in Cocody. 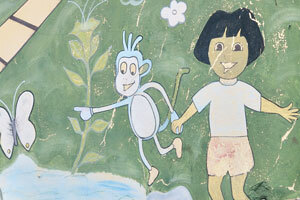 Street art is in Cocody. 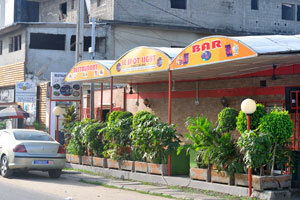 Piano bar is in Cocody. 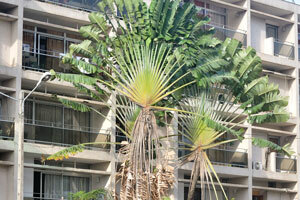 A huge succulent plant of Agave genus is in Cocody. 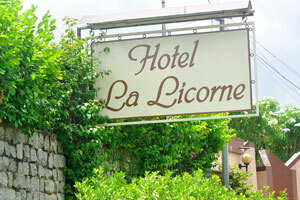 La Licorne hotel is in Cocody. 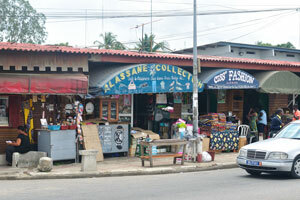 Alassane Collection shop is located close to the intersection between the streets of Rue des Jardins and J 50. 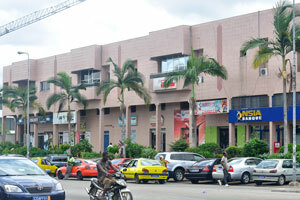 “Centre Commercial des 2 Plateaux” is a shopping mall located close to the intersection between the streets of Rue des Jardins and J 50. 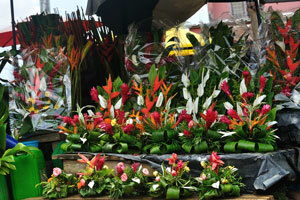 “Fleurs et Coccinelles” is a flower shop located in Cocody. 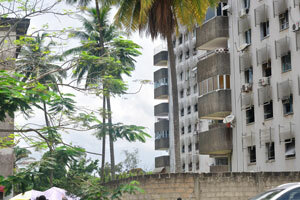 Five storey apartment buildings are located along the road from the Cocody suburb to the Marcory borough. 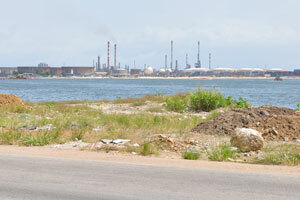 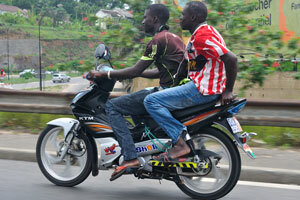 Two motorcyclists are somewhere between the districts of Cocody and Marcory. 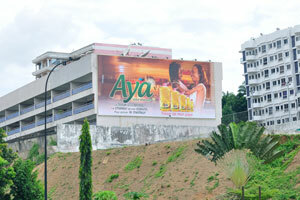 A building advertisement of the Aya vegetable oil reads “Treasure of my country”. 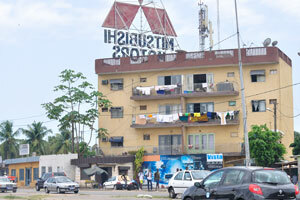 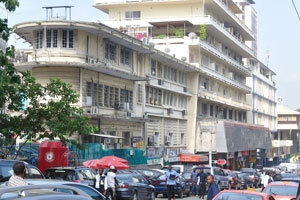 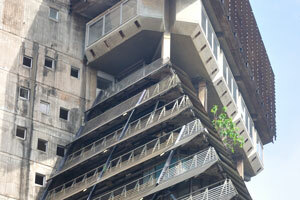 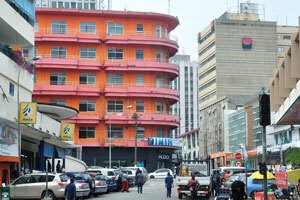 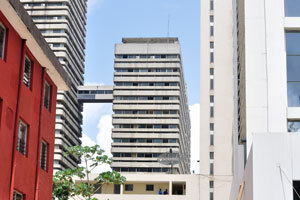 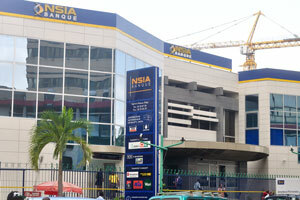 El-Nasr building in Abidjan is composed of 17 floors and has a total of 50 flats. 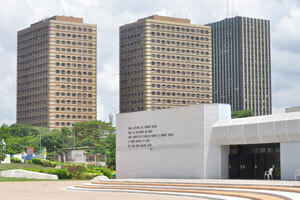 Buildings of SODECI and CIE. 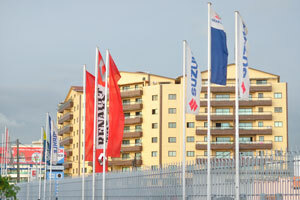 Logo of Mitsubishi Motors is huge and is located on the roof of three-storey apartment building. 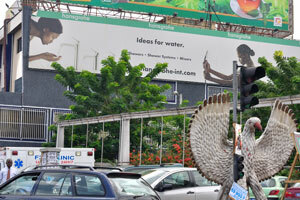 An advertisement of Uncle Sam. 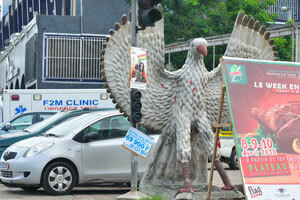 A funny bird statue is on the road. 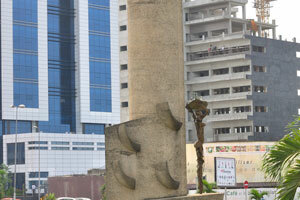 An advertisement of Hansgrohe corporation is placed near the funny bird sculpture. 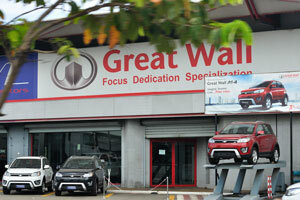 Based on the core of “specializing”, Great Wall Motors raises its corporate philosophy of “Focus, Dedication, Specialization”. 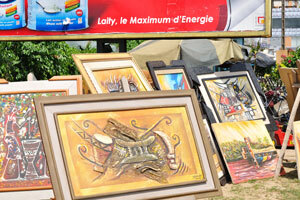 Local exhibition of paintings and drawings is located on the street of Rue du Chevalier de Clieu. 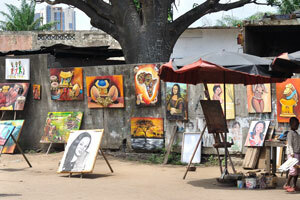 Paintings and drawings for sale are on the street of Rue du Chevalier de Clieu. 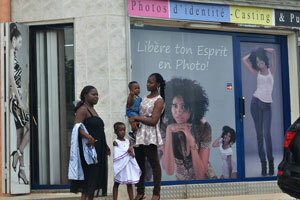 Cute little girl is on the street of Rue du Chevalier de Clieu. 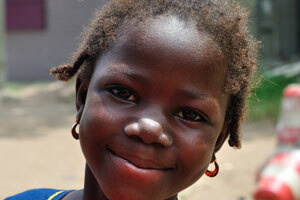 Little african girl smiles at me. 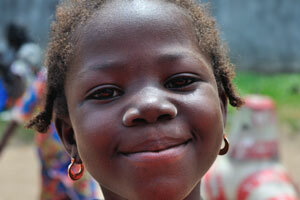 Wide open smile is on the face of little Ivorian girl. 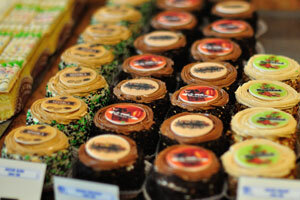 There are plenty of different flavors and varieties when it comes to cupcakes in the Pâtisserie Abidjanaise confectionery. 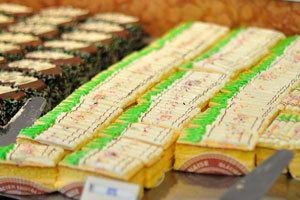 There is a great variety of desserts, ice creams and pastries in the Pâtisserie Abidjanaise confectionery. 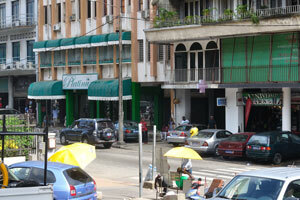 Pâtisserie Abidjanaise is known for its traditional pastry cakes, delicious local cakes and meringues. 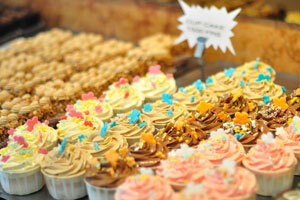 Cupcakes are in the Pâtisserie Abidjanaise confectionery. 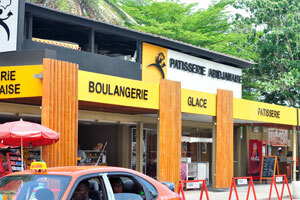 Pâtisserie Abidjanaise bakery and pastry. 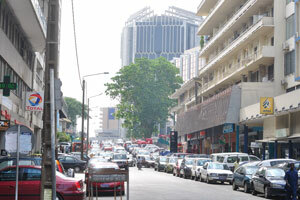 Rue Clement Ader as seen from its intersection with the street of Rue du Chevalier de Clieu. 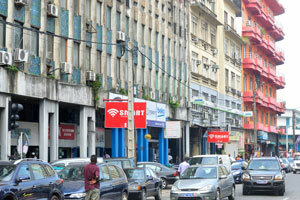 Drawings exhibition is located on the intersection between Rue du Chevalier de Clieu and Rue Clement Ader. 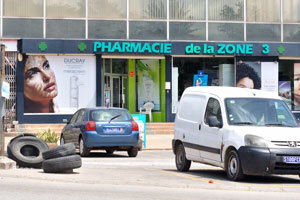 This “Pharmacie de la zone 3” is located on the street of Rue du Chevalier de Clieu. 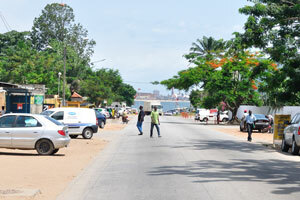 Ébrié Lagoon as seen from the street of Rue du Chevalier de Clieu. 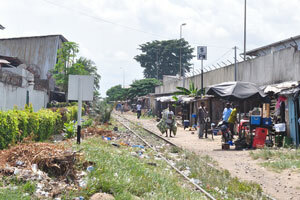 Railroad track as seen from the street of Rue du Chevalier de Clieu. 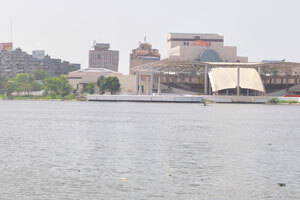 Ébrié Lagoon as seen from the intersection of Rue du Chevalier de Clieu and Boulevard de Marseille. 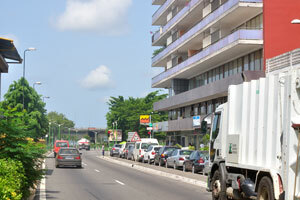 Volvo trucks are parked on the boulevard de Marseille at the shore of Ébrié Lagoon. 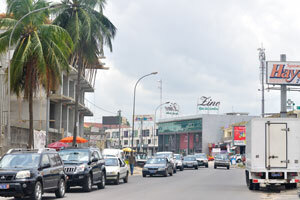 “Cash Center Zone 4” shopping mall. 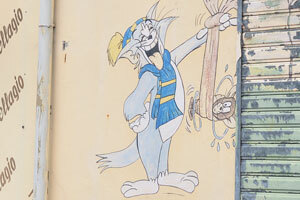 Drawings exhibition is located on the boulevard de Marseille. 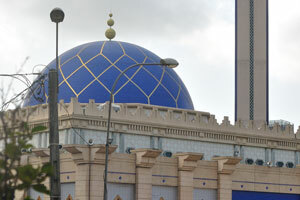 Boulevard de Marseille is in the area of “Cash Center Zone 4” shopping mall. 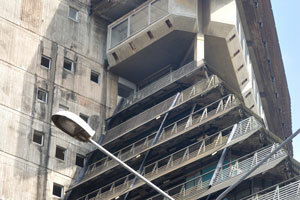 Hotel Nouvelle Pergola as seen from the boulevard de Marseille. 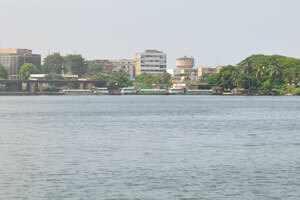 Ébrié Lagoon is in the area of Hotel Nouvelle Pergola. 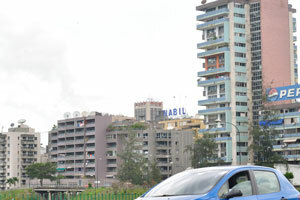 The facade of Hotel Nouvelle Pergola. 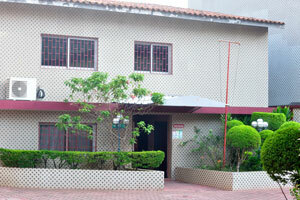 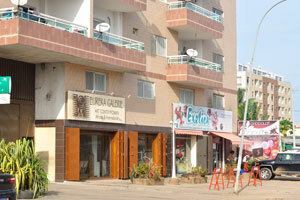 This exchange office is located close to the hotel Nouvelle Pergola. 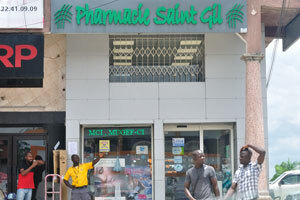 Pharmacie Pierre & Marie Curie. 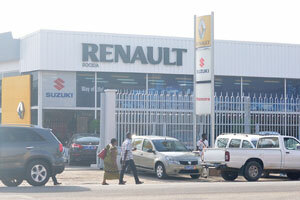 Renault Showroom “Socida” is an exclusive distributor of Renault, Suzuki and Mahindra brands. 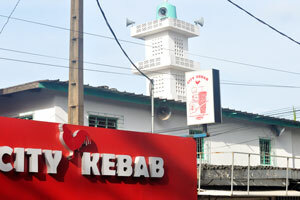 City Kebab cafe is adjacent to the small mosque. 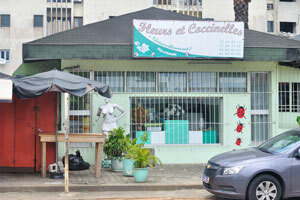 “Le Spot Light” (Chez Céline) restaurant is located on Rue du Docteur Blanchard. 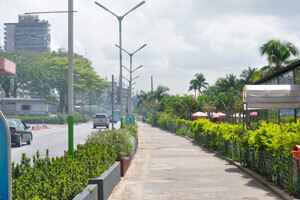 Trees of Ravenala madagascariensis species grow on Rue du Docteur Blanchard. 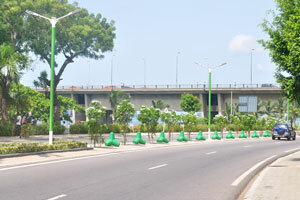 Échangeur de Marcory is the southern interchange of the bridge Henri Konan Bédié. 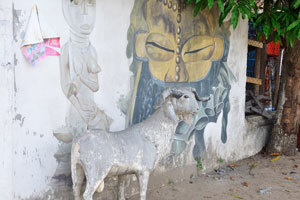 A sheep statue is at the entrance to CAVA (Le Centre Artisanal de la Ville d'Abidjan). 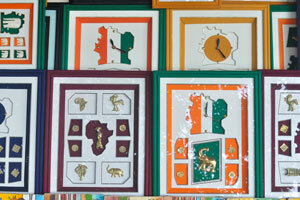 Сlock faces of the souvenir clocks are painted in the national colors. 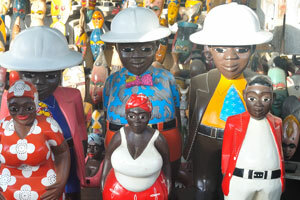 Funny dolls are dressed in the clothes of red-white colours. 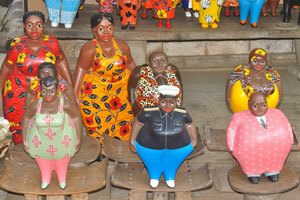 If you're a fan of art, and you're eager to have a different insight of the West African culture, CAVA is the best place for you. 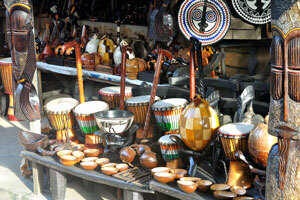 There are plenty of drums on the CAVA souvenir market. 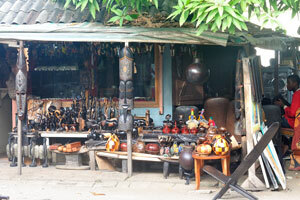 CAVA market sells all the local crafts. 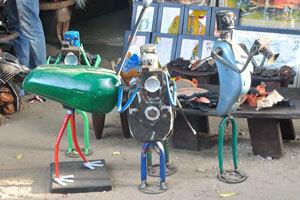 There are funny mechanical robots and ludicrous metallic birds on the CAVA souvenir market. 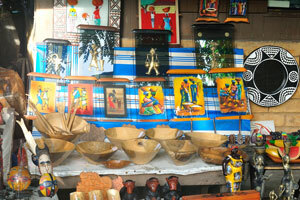 The CAVA souvenir market offers plenty stalls with locally made art. 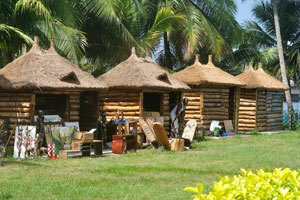 There are lots of booths to shop with woodcraft, fabrics and other souvenirs on the CAVA market. 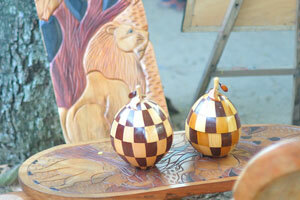 Small wooden bowls are covered with lacquer. 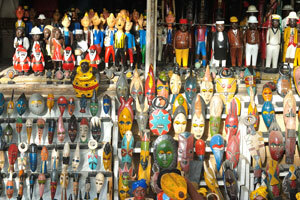 Wooden masks are on the CAVA souvenir market. 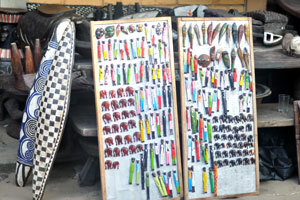 Male vendor tries to get me to look at his stall on the CAVA souvenir market. 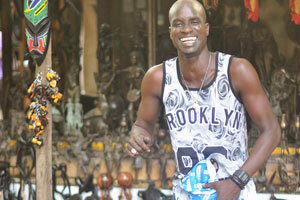 Male vendor from the CAVA souvenir market smiles to me. 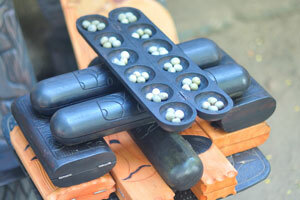 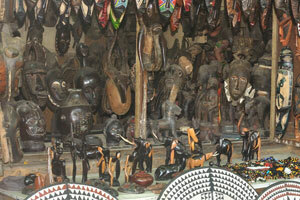 African board game is being sold on the CAVA souvenir market. 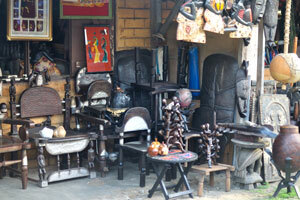 Small wooden game table is being sold with chairs on the CAVA souvenir market. 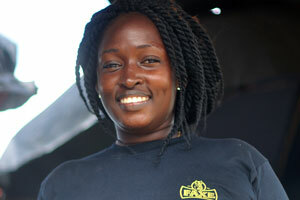 A beautiful Ivorian girl works as a vendor on the CAVA souvenir market. 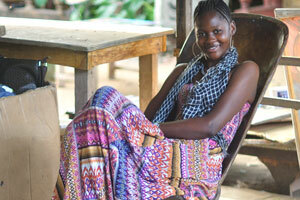 An attractive Ivorian girl is sitting in the wooden armchair on the CAVA souvenir market. 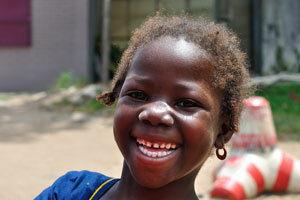 A charming African girl from the CAVA souvenir market smiles to me. 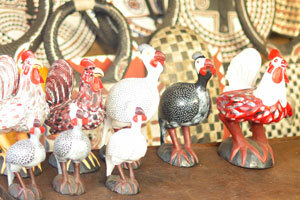 The figures of birds are being sold on the CAVA souvenir market. 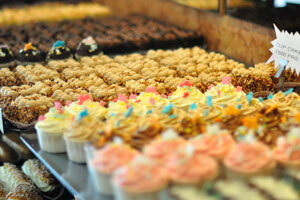 The shopping at CAVA is spectacular. 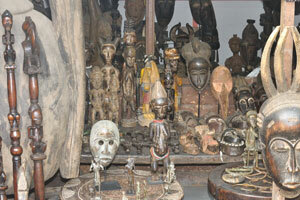 There are a lot of artifacts from different parts of Côte d’Ivoire on the CAVA souvenir market. 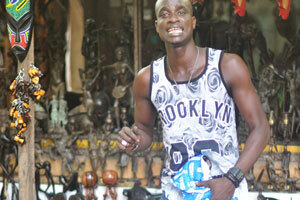 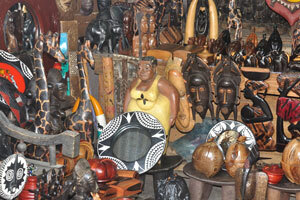 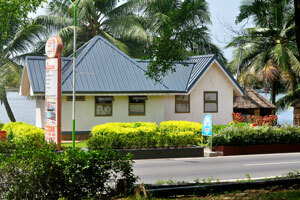 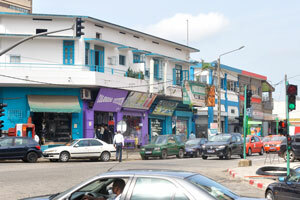 CAVA is a good place to find different handicrafts, cloths, statues, furniture, jewelery, african sheets and paintings. 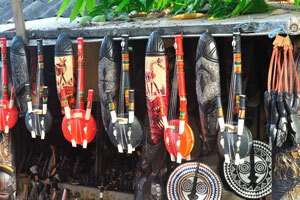 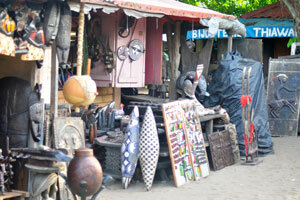 There are wooden and metal objects, reptile bags, masks and drums from all over West Africa on the CAVA souvenir market. 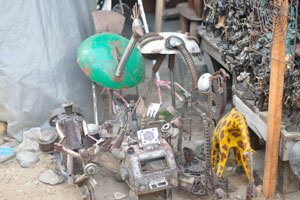 The metal objects are on the CAVA souvenir market. 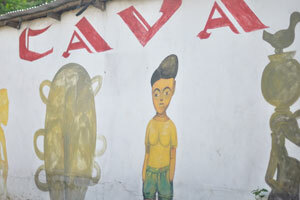 The inscription “CAVA” is on the wall of CAVA souvenir market. 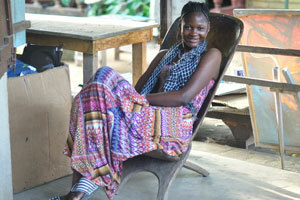 An attractive Ivorian girl is sitting at the entrance of Hotel Nouvelle Pergola. 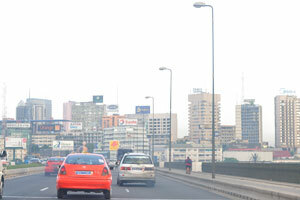 The district of Plateau as seen from the Général-de-Gaulle bridge. 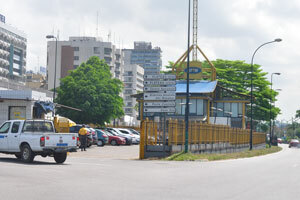 UTB Bus station in Adjamé. 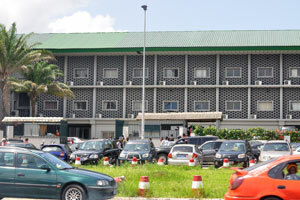 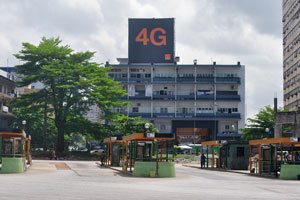 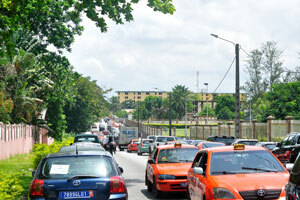 UTB Bus station in Adjamé is one of the largest bus stations in Abidjan. 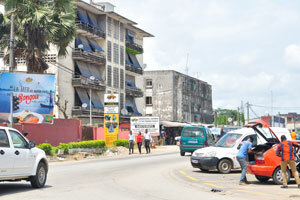 UTB Bus station in Adjamé connects the city of Abidjan with the city of Yamoussoukro. 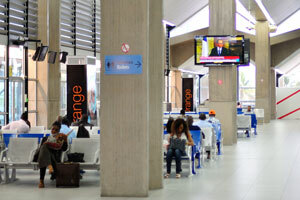 Departure hall is in the Port Bouet airport (IATA: ABJ, ICAO: DIAP). 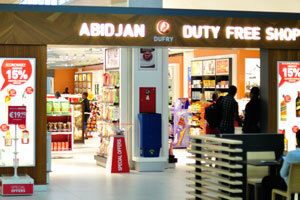 Duty-free shop is in the Port Bouet airport (IATA: ABJ, ICAO: DIAP).